NEW YORK—The controversial Midtown East rezoning plan is moving forward despite pleas from key stakeholders to slow down and review the fine print. The City Planning Commission approved the plan on Sept. 30. The City Council now has 49 days to scrutinize details that include a complex litany of development measures meant to spur reinvestment in Midtown Manhattan. According to the Department of City Planning (DPC), East Midtown’s office building stock is aging and becoming less attractive to potential residents. The rezoned area, which includes Second, Third, and Fifth avenues and East 39th and East 57th streets with Grand Central at its core, will include modern Class A office space. According to the DPC, current zoning needs to be changed because in the past decade only two office buildings in that area have been developed. The Task Force on East Midtown, a coalition of seven community boards impacted by the rezoning, hopes to see significant changes before the plan goes forward. Though they largely favor rezoning Midtown to make way for business, residential, and transportation improvements, they are also concerned over the plan’s current form. All seven of the community boards voted against it earlier in the review process. Concern is also being raised over the numerous historic buildings in the area that are landmarked or “landmark-worthy,” as the coalition has called them. The Historic Districts Council (HDC), an advocacy organization for New York City’s historic neighborhoods, agrees. “This proposal has unleashed real estate speculation on historic buildings,” said Simeon Bankoff, executive director of the HDC. Under the plan in its current form, the cost of air rights at $250 per square foot would go toward a proposed district improvement fund for transit and pedestrian uses. 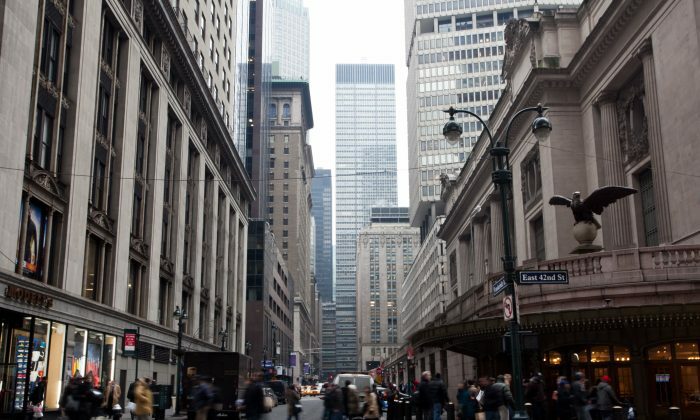 Opponents said that the price constitutes a “fire sale” of air rights, which should be valued at closer to $425 per square foot, according to the Task Force on East Midtown. There is no word yet on when City Council will hold public comment or vote on the plan.